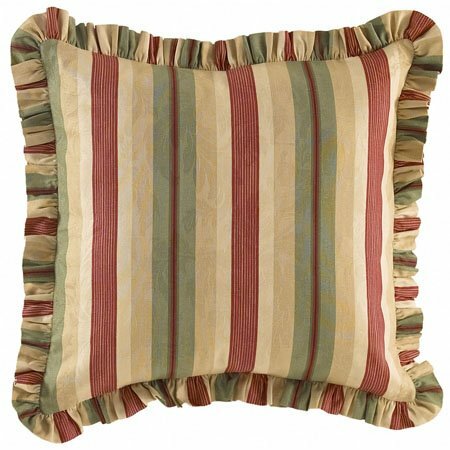 Laurel Springs Euro Sham is done in a stripe in crimson red, green, and tans woven in a jacquard all-over leaf design for textural interest. Ruffled edge. Back overlap closure. Designed to be used behind a standard sham. 26" x 26". Machine wash cold, gentle cycle. Tumble dry low. 100% cotton.